Did you know today is International Talk Like a Pirate Day? Neither did I… until, through the wonders of Facebook, I was made aware of this holiday. So what does a holiday like this require? 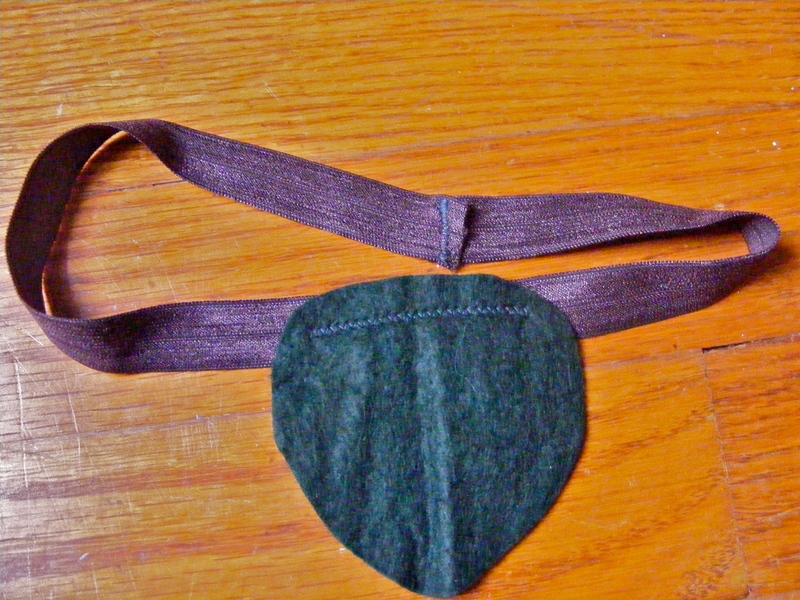 A super quick eye patch, of course! 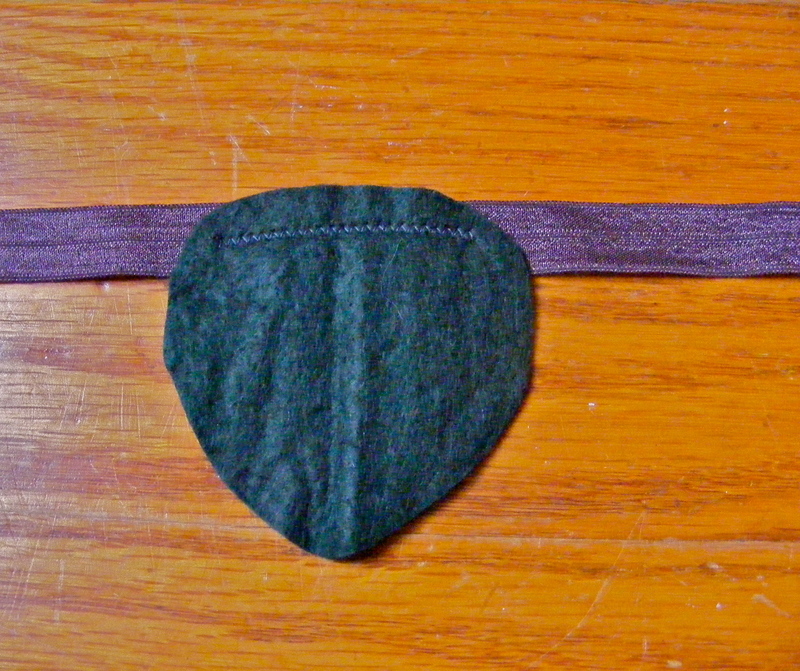 Cut the elastic to comfortably fit around your child’s head. I had some softer [read: won’t dig in to their skull] elastic that I snagged from a Pick Your Plum daily deal, so I used that. 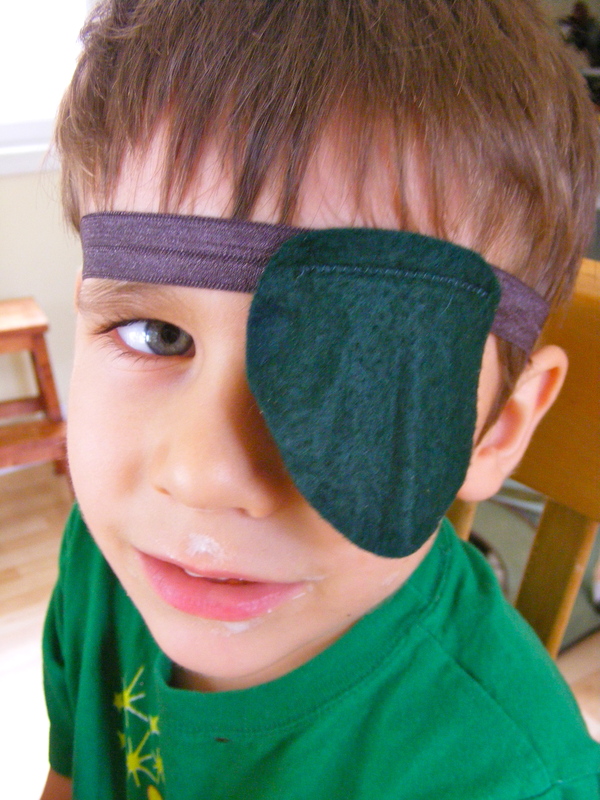 Cut your felt in the shape of an eye patch. Zig zag the felt onto the elastic. Zig zag the ends of the elastic together. 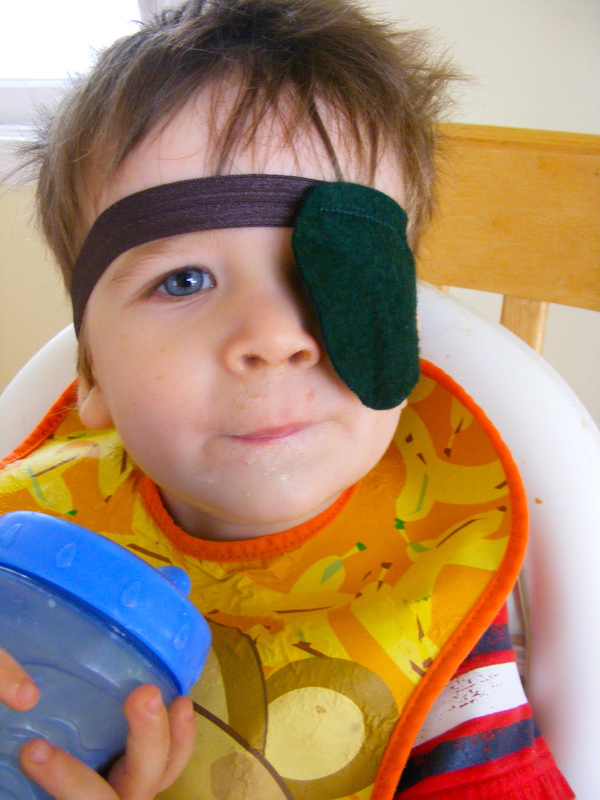 Teach your three-year-old to say “Arrr, matey” while he eats his lunch. 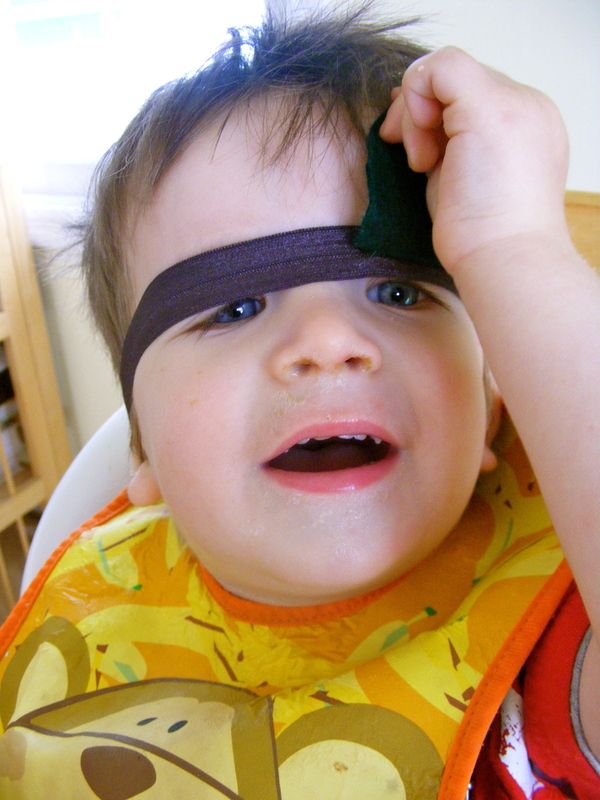 Play peek-a-boo with your snot covered one-year-old, because really, what fun would an eye patch be if you didn’t do that? 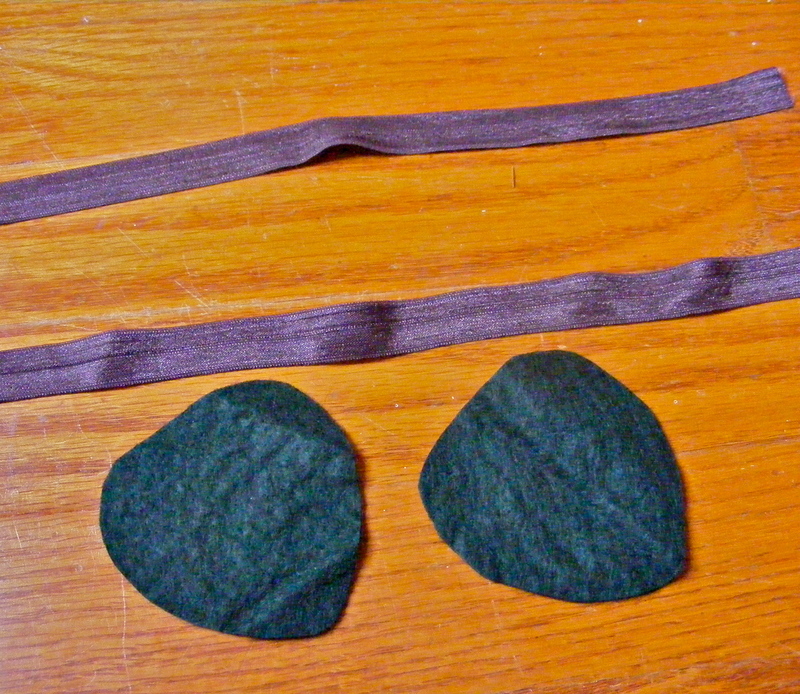 Next postHandmade Dressup Series – iPod Costume Tutorial!